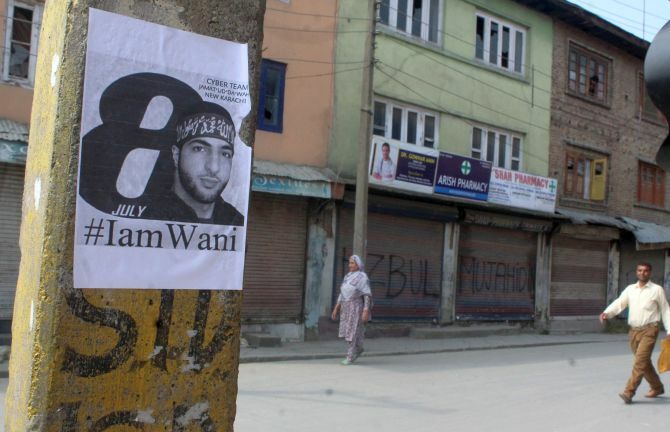 Authorities on Saturday clamped curfew in three towns and imposed severe restrictions in the rest of Kashmir to foil a plan by separatists to hold a rally to mark the first anniversary of the killing of militant commander Burhan Wani. 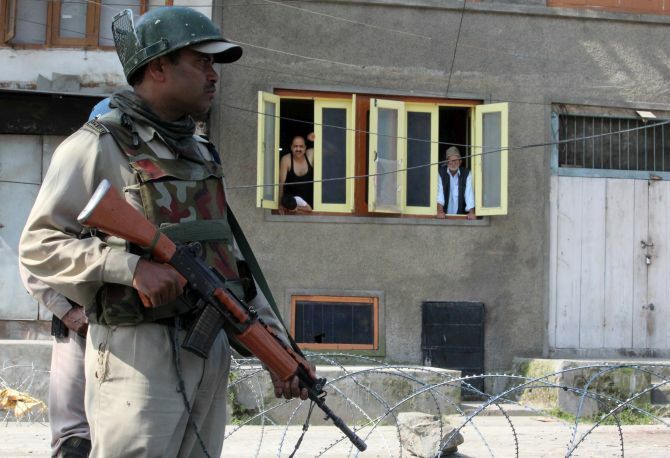 Police and paramilitary personnel were deployed in strength across Kashmir and Internet services snapped to maintain law and order, officials said. 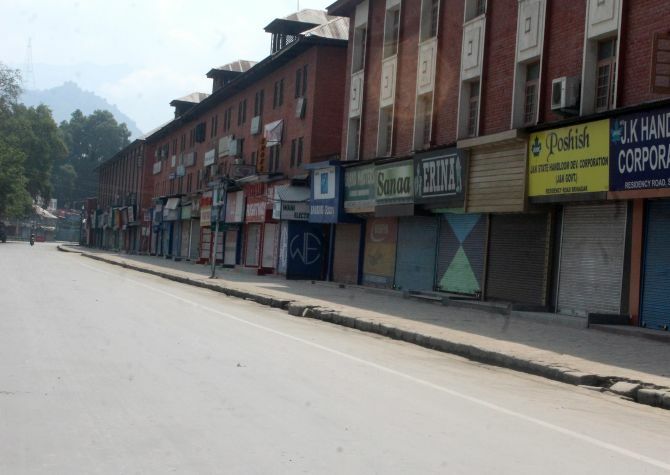 Normal life came to a standstill in the valley due to a strike call given by the separatists and the curfew-like restrictions imposed by the authorities. 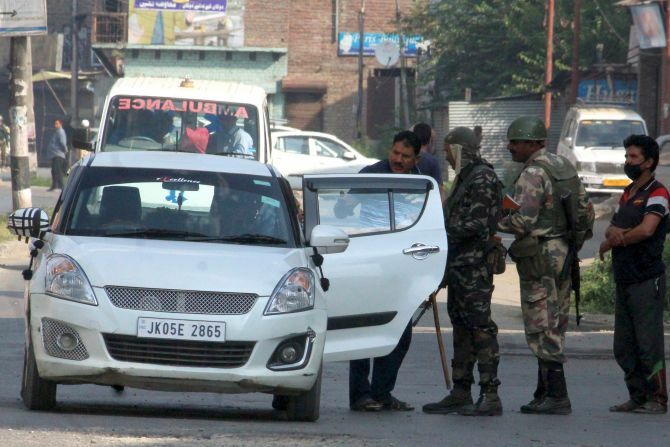 Curfew was imposed in Tral, Wani's home town in Pulwama district, as a precautionary measure, a senior police official said. The joint separatist camp, including Hurriyat Conference factions led by Syed Ali Shah Geelani and Mirwaiz Umar Farooq and the Yasin Malik-led Jammu Kashmir Liberation Front, has asked the people to march to Tral, about 36 kms from Srinagar, to pay tribute to Wani, who was killed in an encounter with security forces on this day last year. 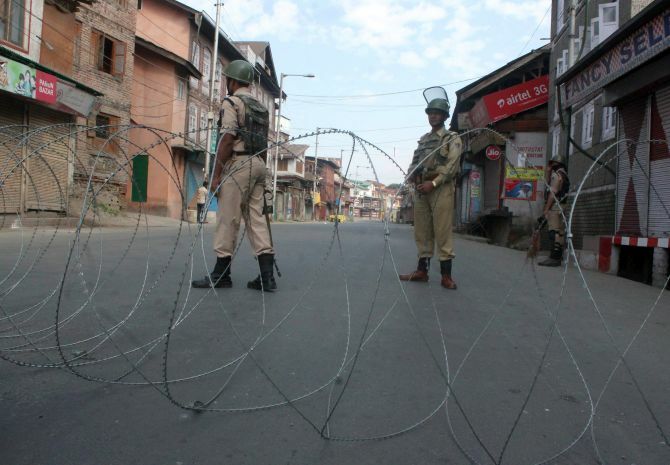 The official said curfew had also been imposed in Shopian town of South Kashmir and Trehgam in North Kashmir's Kupwara district. "Elsewhere in the valley, restrictions on the movement of people are being strictly enforced," he added. In view of the prevailing situation in the valley, the Amarnath pilgrimage has been suspended from the Bhagwati Nagar base camp in Jammu till further orders. The yatra, however, continued from Pahalgam and Baltal base camps in Kashmir. From Jammu, the pilgrims reach Pahalgam or Baltal base camp, before proceeding to the cave shrine. All university examinations scheduled for Saturdya have been postponed. Schools were closed earlier in the week. Shops and business establishments remained closed while vehicles remained off the roads, the official said, adding that the situation was peaceful so far.